The last two days have been glorious! 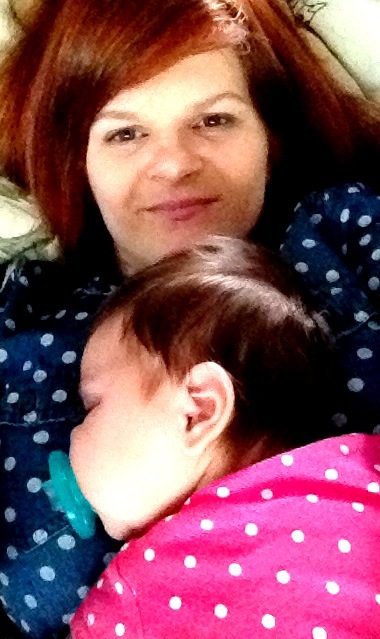 I love my two days of Ramona time. That girl loves it too! She is starting to sing with me and dance wile I play guitar. I need to get some video of her. She has always liked the music, she is just now at a point where she can react a bit. This morning she was even doing a form of yoga with Kelly and I. She was kicking her leg up anyway! This is a good stage she is in, but what stage has not been? Sleeping eight hour stretches, eating on a semi routine schedule, and just being all around fantastic! Kelly took Ramona in today for her two month shots. I, sadly, was not able to go. Kelly says she did really great and went to sleep while still in the office. She is a tough snot just like her mom! My little girl just keeps growing up and I am thankful everyday. Thankful to be present and thankful Kelly is with me stride for stride. I love my girls!